We're all for America here at Surebud and Gear Head. So much so that we've collected Star Spangled Tributes, far and wide that celebrate the good old U.S. of A. May the wings of liberty never lose a feather. 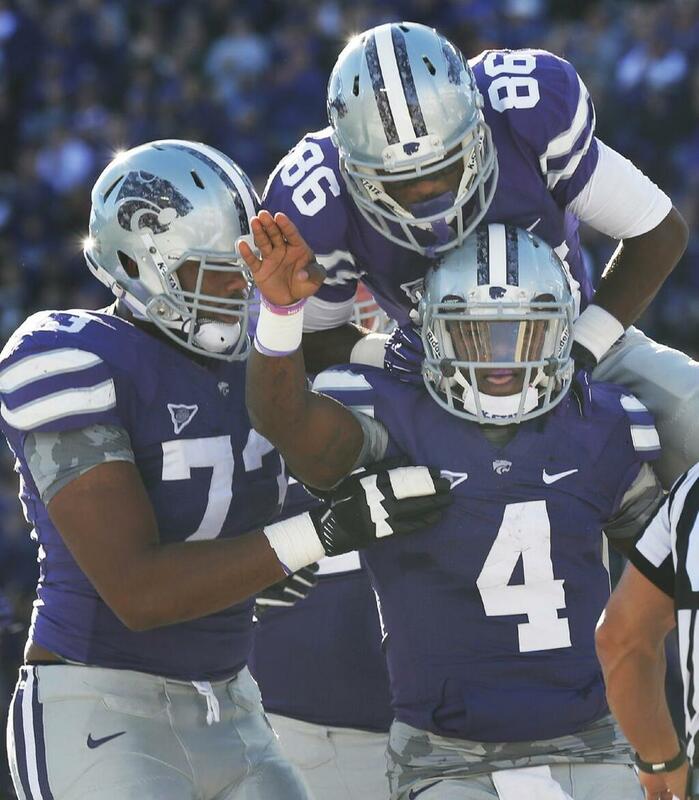 Subtle camo theme for K-State. Given how subtle it is I doubt Bill Snyder had any idea. 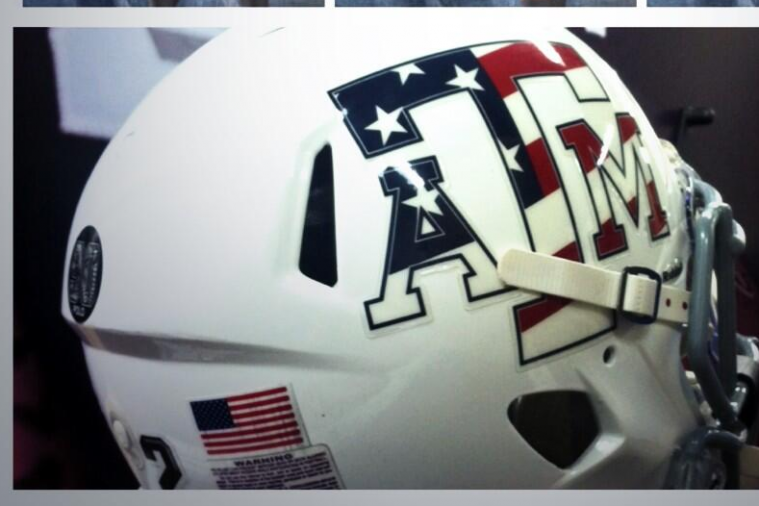 Get ready for more of this, the old flag inserted into team logo move. Very popular. Apparently this is some sort of state moto for Nevada. I always thought it was What Happens in Vegas Stays in Vegas. 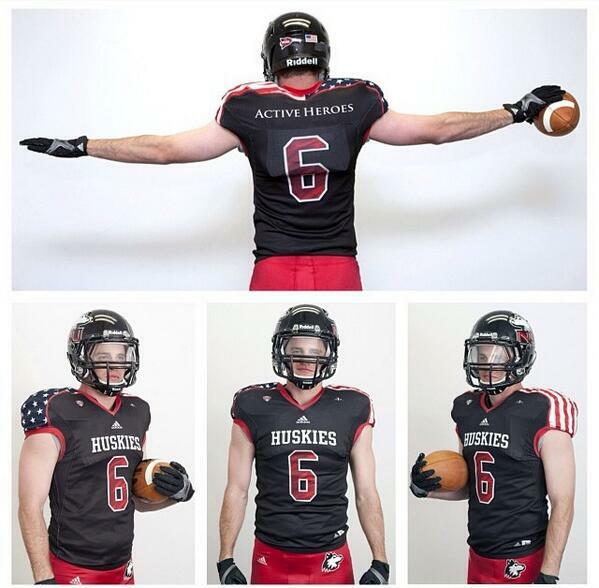 Northern Illinois did this. Can no one stop them? North Alabama is doing something patriotic. We're just not sure what, where, when, or why. This is awful is sooooo many ways. 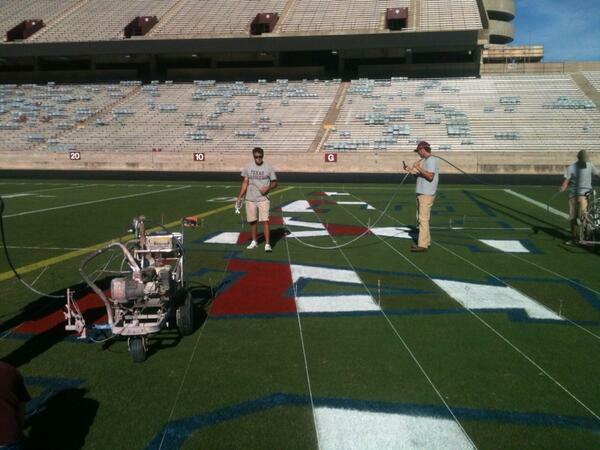 and loves 'Merica so much they painted the field. 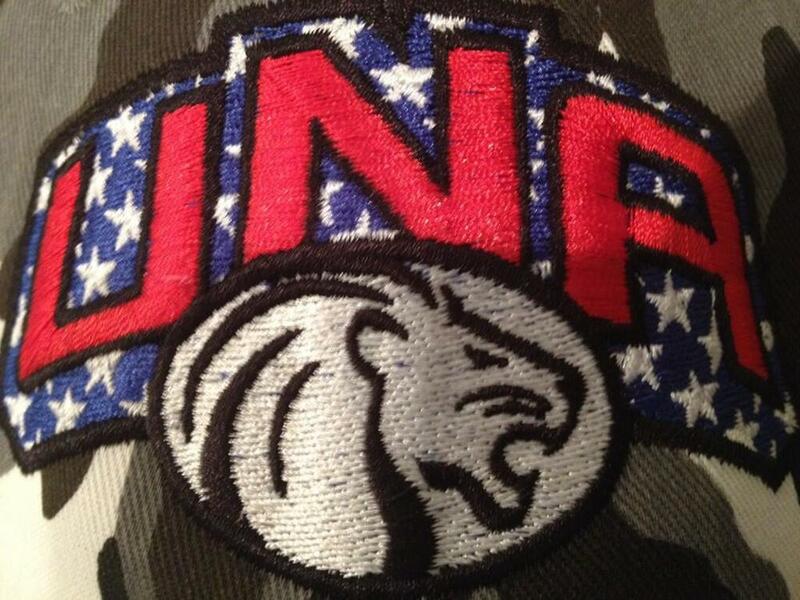 Another UA wounded warrior design. Can you guess the school? It's Texas Tech, though you wouldn't know it from the look. I knew a kid in school who had to where these shoes because his feet were all jacked up. Same song, next verse for UTSA. 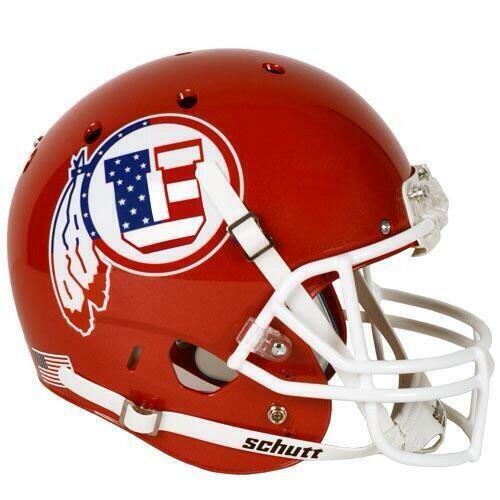 Now this isn't bad, inserting the Marine Corps logo into the helmet. 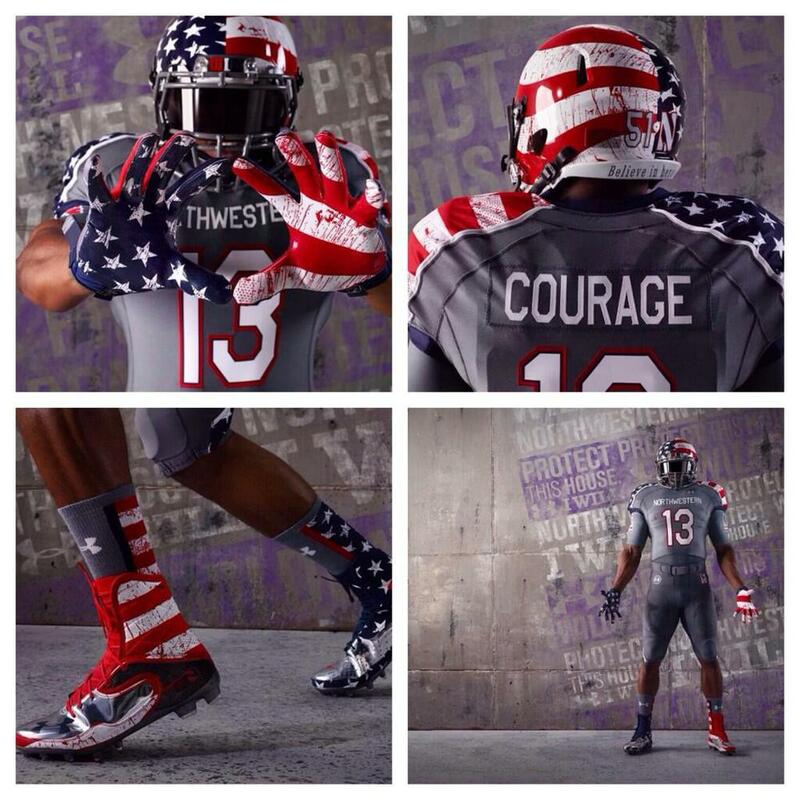 Works with the mascot, the Leathernecks, as well. 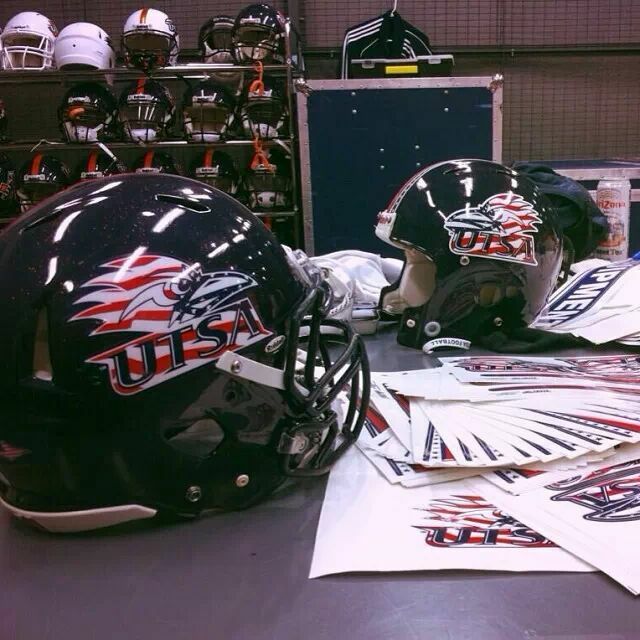 Posted on November 4, 2013 by Sure Bud and filed under Sports, Southwest Round-Up and tagged Gear Head Kansas State Western Illinois UMass Utah Utes Northwestern Texas Tech Texas A&M Northern Illinois North Alabama Nevada Middle Tennessee UTSA.